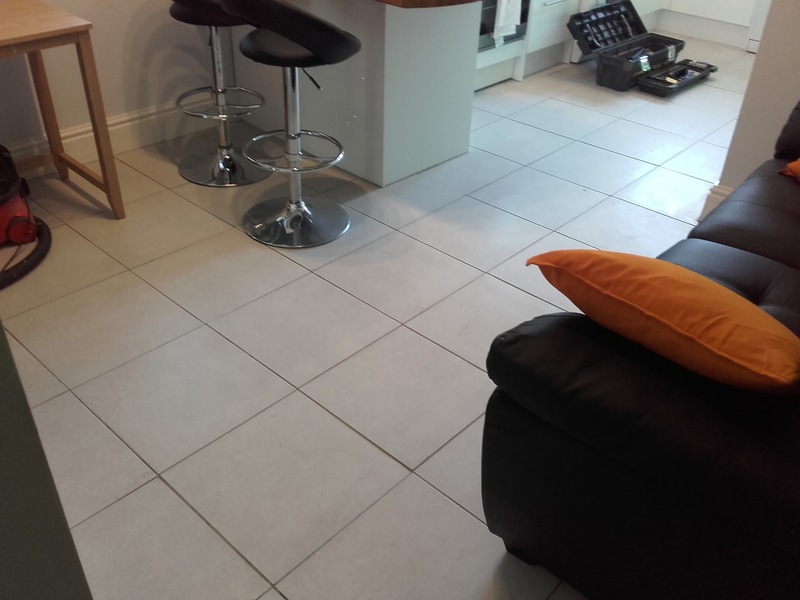 This student property was undergoing renovation and the kitchen was completely re-fitted. 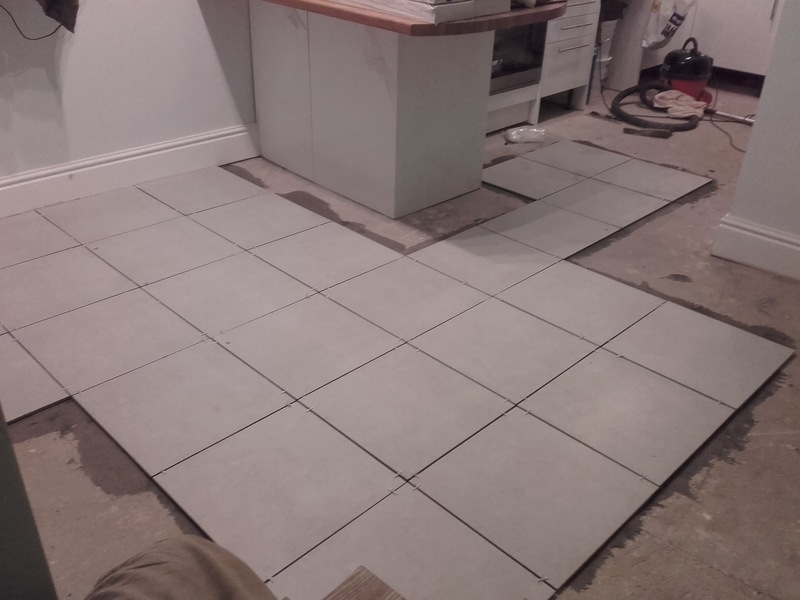 The no-expense-spared Magnet kitchen deserved a quality floor, so we laid 450mm square, 8mm thick ceramic tiles. The poured concrete floor was quite uneven in places but we overcame this with careful planning and skilled handy work. 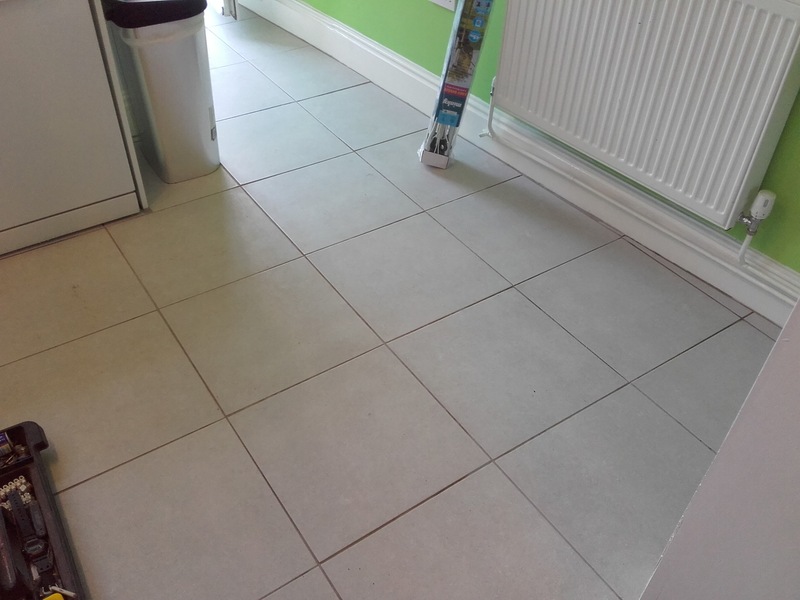 The finished result looked very smart and will provide the hard-wearing and aesthetically pleasing look the landlord requested.